This is our twist on the classic Negroni. A cocktail of some fame, the Negroni has it’s share of fans, so while we don’t want to use the word “better”, we feel this is a cocktail that’s more approachable because it’s a bit more balanced. We’ve replaced the gin with Novo Fogo Aged Cachaca which adds an extra layer of sweetness. The Cochi Americano Rossa adds a touch more flavor throughout the taste of the cocktail where the bitterness on the back end of the Campari usually hits hard and lingers. These modifications keep the bitterness of the Campari from overpowering the cocktail. 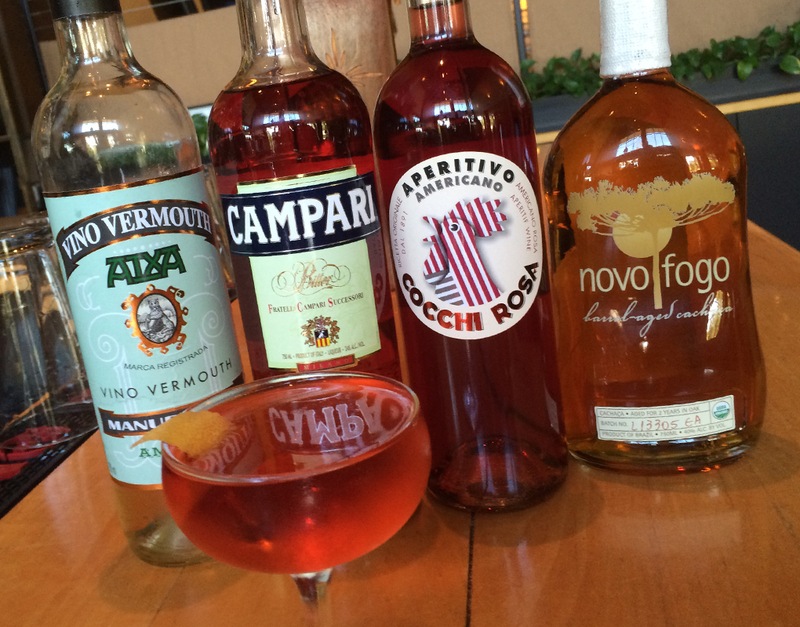 We understand that this flavor is what makes a Negroni, and many people love it, but it’s not for everyone. Ultimately, the Campari’s bitterness hits late and cuts the sweetness of the liqueurs, making for a nice finish to the beverage. If you’ve tried a Negroni in the past and didn’t like the bitterness, or if you’ve been wanting to try one, we highly recommend you get started on the del Alma Negroni. A nice balanced cocktail with a South American/Spanish flair.